On the hunt for a pickup truck that’s powerful, capable, and packed with the latest technology features? The Ram 1500 could be the pickup for you! In this review, we at Massey Yardley CDJRF will introduce you to the many features and capabilities that this powerful pickup has to offer. Let’s get started by taking a peek under the hood to see what makes this model move! These commanding engines work alongside a Class-Exclusive standard TorqueFlite® 8-speed automatic transmission7. This mild hybrid system optimizes every shift change to maximize both efficiency and power. Thanks to all the power that the Ram 1500’s three available engines bring to the table, this model is able to tow some serious trailer weight. With its standard engine, you’ll be able to tow a respectable 7,730 pounds of trailer weight8. To get the most out of your capabilities in this model, though, you’ll want to opt for the 5.7L HEMI® V8 engine with eTorque. This engine makes it possible for the Ram 1500 to tow a best-in-class V8 towing capacity of 12,750 pounds9. This isn’t the only capability of the Ram 1500. On top of being able to tow quite a bit of trailer weight, you can also haul a whopping 2,300 pounds of payload weight8 in the bed of the truck. Inside the Ram 1500, you’ll find an array of technology features that are on-par with the incredible power equipment under the front hood. For starters, this model offers an available Uconnect® 12.0 infotainment system with a largest-in-class 12-inch touchscreen display7. This screen-system combo offers so many helpful features that will change the way you drive like hands-free Bluetooth® capability, smartphone integration via Apple CarPlay®, and easy-to-follow turn-by-turn navigation. You’ll also never have to worry about being bored while you’re en route with the Ram 1500’s available SiriusXM® with 360L. This feature creates a user profile based on what you listen to, so it can recommend personalized content and bring you more of what you love. Experience the 2019 Ram 1500! Whether you need a powerful pickup for the worksite or something comfortable, yet capable, for your family trips, the Ram 1500 is the best choice for you. 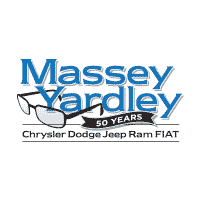 Get behind the wheel to get the full experience for yourself at Massey Yardley CDJRF. Pickup shoppers in the Plantation area can schedule a test drive today by giving us a call at the dealership! 1 EPA estimated mpg with 3.6L Pentastar® V6 eTorque engine and eight-speed automatic transmission, 4×2. Actual mileage may vary. 2 EPA estimated mpg with 3.6L Pentastar® V6 eTorque engine and eight-speed automatic transmission, 4×4. Actual mileage may vary. 3 EPA estimated mpg with 5.7L HEMI® V8 engine and eight-speed automatic transmission, 4×2. Actual mileage may vary. 4 EPA estimated mpg with 5.7L HEMI® V8 engine and eight-speed automatic transmission, 4×4. Actual mileage may vary. 5 EPA estimated mpg with 5.7L HEMI® V8 eTorque engine and eight-speed automatic transmission, 4×2. Actual mileage may vary. 6 EPA estimated mpg with 5.7L HEMI® V8 eTorque engine and eight-speed automatic transmission, 4×4. Actual mileage may vary. 7 Class based on Light-Duty pickups. 8 When properly equipped. See dealer for details. 9 Based on Light-Duty Pickup Segment. When properly equipped. See dealer for details.